Boston, USA -- In a few weeks, millions of us will be glued to our TV sets, watching the best athletes in the world ski, skate, and slide their way into Olympic history in Turin, Italy. We will certainly be dazzled, as always, by the sheer physical skill of these folks who have pushed their bodies so hard for so many hours a day, year after year. But just as important as physical training, say those who study elite athletes, is the mental training that goes into a peak performance. 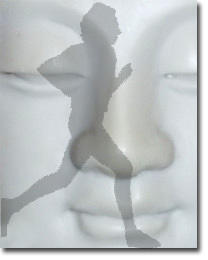 If two athletes are equally fit, the edge often goes to the one with the better emotional skills -- not a do-or-die focus on winning but a set of habits that all of us can learn, including positive ''self talk," maintaining an energy level that is neither too excited nor too relaxed, and, perhaps most important, a Buddhist-like ability to focus totally on the moment at hand -- on this particular breath, stroke, turn. So useful are these techniques that sport psychologists say their coaching is increasingly being sought by surgeons, trial lawyers, musicians, public speakers, business people, and others who need to perform at their best in high-stress situations. Partly because of this increasing demand, the Association for the Advancement of Applied Sport Psychology, the major professional organization in the field, has grown from a few hundred 20 years ago to 1,300 today, said the group's president, Craig Wrisberg, a sport psychology professor and mental training consultant at the University of Tennessee. Nowhere has the teaching of mental skills become a finer art than at West Point, where Nate Zinsser, director of the performance enhancement program, runs a lab that is the envy of sports teams around the country. He's building better athletes (Army must beat Navy) and also better soldiers, who have imagined every possible thing that might go wrong with a military operation. Among other things, Zinsser has what he described as ''very cool" ergonomic chairs in which cadets sit and, through biofeedback techniques like monitoring heart rate, learn to relax and ignore distractions -- such as crowd noise -- piped in through speakers. ''The process of training and learning to compete competently is a much more valuable lifetime lesson than simply the accomplishment of having won something on a given day," said Zinsser. The key, for Olympic athletes as well as weekend warriors, is to learn to juggle two contrasting disciplines. ''You have to be almost an obsessive-compulsive workaholic to get yourself ready to be good. But then you have to be this relaxed, Buddha-like Zen master, which allows all the stuff you have been training to come out." In other words, you train your body, especially your nervous system, so that you can automatically do your best on every step, jump, start, or landing. Then you get your mind and its anxious chatter out of the way, go on ''autopilot," and let your body ''fly itself," said Jim Bauman, a sport psychologist for the US Olympic Committee who has been working this year with the men's alpine ski team. Self talk. If you find that you're talking to yourself -- as opposed to being in a state of total, wordless absorption in the moment -- make it positive ''self talk," said Jean Williams, a professor of psychology at the University of Arizona and editor of ''Applied Sport Psychology: Personal Growth to Peak Performance." Positive messages like ''Good job" or ''Keep going" correlate with better performance, according to a series of studies on wrestlers, field hockey players, golfers, cross-country skiers, divers, tennis players, and other athletes since the early 1990s. It also helps, says Wayland triathlete Flo Chretien, 31, a 2008 summer Olympics hopeful, to mentally recast the event positively, not as a stressor but as ''a reward for all your training." Imagery. A number of studies have shown that people who are taught to imagine themselves performing exactly as they want to do better than those who don't get the imagery training. The most successful athletes, studies have shown, use imagery more extensively and systematically than less successful ones. Recovery after mistakes. ''The people who win gold medals are not those with no mistakes but those who are best at handling mistakes," said Charlie Brown, a sport psychologist in Charlotte, N.C. And, like everything else in sports or high-stress performance situations, the key is practice -- practicing what you will do to handle every imaginable kind of mistake, added Brown, who will teach mental skills training to surgeons next month. Stay in the present and focus on process, not outcome. In stressful situations, most people focus on the end result, said Aimee Kimball, director of mental training at the Center for Sports Medicine at the University of Pittsburgh Medical Center. It works better, she said, ''not to focus on the outcome but to focus on the process." In a brochure he gives out to athletes, Bauman, of the Olympic Committee, put it this way: ''Competing is about right now, and that is where our thoughts belong. Right here and right now." In other words, whether you're racing for the gold, giving a speech, or just running around your neighborhood, do what Boston triathlete Dede Griesbauer, 35, who placed 17th this fall in the Ironman in Hawaii, does: ''Break things down into small pieces -- literally one step at a time."